Wholesale liquidation can be a profitable business, but like any business, you need to make the right decisions if you want to be successful. Companies like Merchandize Retailers have proved that buying and selling pallets of liquidated merchandise from major retailers is a viable business model if it is done the right way. What is the right way? The way that reduces costs and maximizes profits. 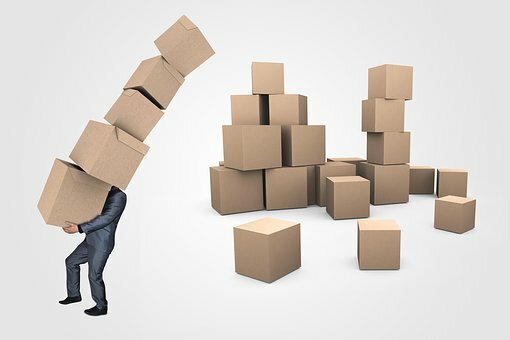 If you want to learn the right way is, then continue reading this article to learn how to make money buying pallets of liquidated merchandise. You should become intimately familiar with the market prices so you know the worth of the merchandise you are interested in buying. Once you do, you will know how much to pay for any liquidated stock and the best price at which to sell it. That way you stand the best chance of making a profit since you are not overpaying for merchandise, and you are not selling at a price that will turn off your customers. As for those customers, you should make sure you learn what it is they want and need so that you know what kind of merchandise to buy. In other words, you should follow the basic rules of supply and demand. You may start out buying and selling one or a few products at first, but once you get a better sense of the market, you should start selling a wider array of merchandise. A diverse set of products attracts a diverse set of customers, which is great for business. If you want to get a more diverse product line, then you need to cultivate relationships with a greater number of suppliers. This will help reduce the risk that any of the merchandise gets damaged. That is a possibility if the merchandise goes through several different channels before it gets to you. Buying directly from the retailer is a one-step process that lowers the chance of any damage taking place. It can also help to save you money because costs can accrue when the merchandise passes through several different brokers before it gets to you. A manifest is a list of all the items in the pallet. You need to find pallets with manifests that include the cost, description, and quantity of all the products that are supposed to be there. The presence of a manifest will ensure that there is no conflict about what you receive and what you should receive. If you order pallets from a supplier who does not include a manifest, then there can be no guarantee that those pallets will include everything you expect. It is a good practice to find suppliers who give you the opportunity to examine their manifest before you make a purchase from them. When you buy pallets from a retailer, you have to pay for the shipping costs. If those costs end up being too high, then they could result in a loss rather than a profit. You could try to sell the goods at a higher price to offset the freight costs, but that would be counterintuitive since the whole point of buying liquidated merchandise is to sell it at a lower price. So, before you buy anything, find out how much it costs to actually transport it to your warehouse. Even if you buy the merchandise for a reasonable price, the freight costs may be too high to make that purchase a good deal. The purchase of pallets for resale is a great business opportunity, but only if you do the right research beforehand. That way, you will have a much higher chance of making a profit than if you go in blindly and hope for the best. So, if you want to make money buying pallets, make sure to find the right suppliers, take the right steps, and do all the research. Do everything right and you will end up making a whole lot more money than you spend.